Fish enthusiasts can get their fix in and around Eastern Cape's coast and rivers. With endless options of both salt and freshwater fishing hot spots - you are spoiled for choice with where to drop your bait. Warning: you might just get hooked! Bookmark 8 of the Eastern Cape's top salt and fresh water fishing spots below and prep for your next fishy escape! Famous for its Sunshine coast and port towns, the Eastern Cape does not run dry on offering you some stunning and thriving coastal fishing locations. Bat's Cave - Bat your eyes and bait over at this fishing location in the coastal town of Kenton-On-Sea. This deep rocky gully that has access to the sea is the perfect spot to catch fish and shellfish known to hug and nest near the rocky coast. Warning to the wise: be aware of the tides and their times as the cave can become submerged during high tide - so plan your fishing visit accordingly to avoid dampening your experience. Fish River Point - If you're looking to bog down some Meg-worthy sharks, this is probably the closest land spot you'd find them when it comes to big sharks. You're also likely to catch other non-edible fish at this location which has a deep water point and, due to its proximity to the Fish River Mouth, the spot often consists of water with a lot of colour to it that attracts large fish. You can find this fishing haven about 10km from Port Alfred on the East London side. The Wreck - This fishing spot, more commonly known as 'Ship Wreck', marks the location where way back in 1965 the trawler Cape St Blaize got washed up on the sandy banks due to high gale force winds. All 13 members that were aboard the ship all got out safely and lived to tell the legendary tale. There are still a few remnants of the ship on the beach at this spot - allowing you to live out your Pirates of the Caribbean dreams while waiting to reel in a fresh catch. You can find this treasured wreck nestled in the sandy coast approximately 6km from the town of Kasouga - which sits between Port Alfred and Kenton-on-Sea. Roman Rocks - This fishing hot spot area is made up of broken rock, rocky gullies and sand banks with holes where steenbras and kob like to hang around, as well as numerous sandsharks - making it the ideal angling spot. Situated along Clayton's Beach in Kleinmonde East, this rocky location can be difficult to access and you need good solid footwear to fish off them. The best time to fish is when the tide starts to come in, but this is also the most dangerous time to fish Roman Rocks, as the waves roll in quite quickly - be careful, play it safe and perhaps don't do like the Romans for a risky catch. Nqweba Dam - Located in Graaff Reinet, this dam is a fishing haven offering views to boot. It covers a total area of a 1000 hectares at its fullest and is a popular spot among anglers and water sports enthusiasts. And if you're with a group and you feel like stretching your legs while waiting for a bite - a short walk just north of the dam is a game viewing spot where you will have the opportunity to see a range of animals from kudu, gemsbok, springbok, Cape buffalo, wildebeest, eland and Cape Mountain zebras. Bridle Drift Dam - If you're in a mood to catch some bass - not of the musical variety - head on down to this artificial lake on the Buffalo River to reel in some luck. Located a quick 25km west of East London, you can unleash your fishing peace, reel-ax and unwind. ALSO SEE: Fishing for plastic: Would you do this along the canals of Amsterdam? Fly Fishing in Rhodes - The Rhodes and Barkly East areas offer superb fly fishing possibilities - with nine or more pristine mountain streams. Many of the rivers and streams originate about 2.7 - 3km above sea-level and can be described as pristine, freestone and rock-based highland streams. It should be noted that no unauthorised fishing is allowed in the area and fly fishing visitors need to gain access to farms by purchasing a day permit from the relevant fly fishing association or club or fly shop in Rhodes. The community also supports catch and release in this area and encourage fly fishing only. Fish the Kowie River - Located near Port Alfred, this river is a great fishing spot. It holds very good numbers of grunter, steenbras and kob - spoiling you and your hook for choice - making the chance of a catch that much higher. A word to the wise: when casting with live bait during the summer months, be prepared for the potential frightening jolt of catching a ragged-tooth shark on the end of your line as they tend to travel upstream from October to March and grow to a heavy 100kgs. 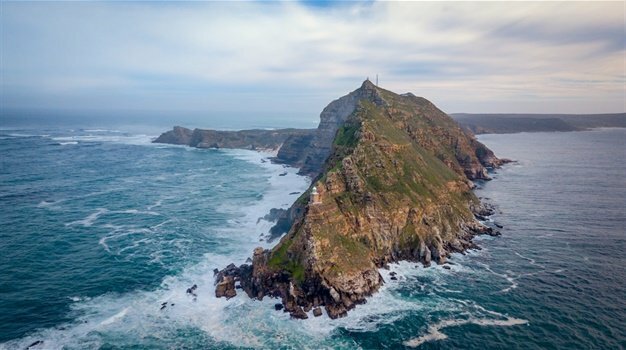 These are just some of the incredible fishing spots around the Eastern Cape, but your best bet to getting a nibble or two or five. Plan your next fishy escape to one of the above spots and keep us in the loop on social with your finds!